Damariscotta Lake ON for Tomorrow, new launch site! Another wonderful day on Meginticook. A long tour of the north end with the obligatory rounding of Cam’s Sauna, and then sailing laps around a few of the islands in the Broads after lunch. The temps held just below freezing, enough to keep the drain holes sealed up. Ice just as flawlessly silent as yesterday. In addition to these guys, Bryce was sailing his new Blade Runner, Paul with Icywood, Ben gracing the piney shoreline with the gaff rigged Tipsy, and Bob with his Cheapskate. See the ice? It was that good! Tomorrow we are moving to the south end of Damariscotta Lake at the Vannah Rd. launch. Parking is tricky there, so be creative and considerate. There is a wintery mix clicking on the windows right now, but it looks like we’ll be spared any accumulation. What we have accumulated, however, is plenty of ice. Tom parked directly over that crack just to make his point. 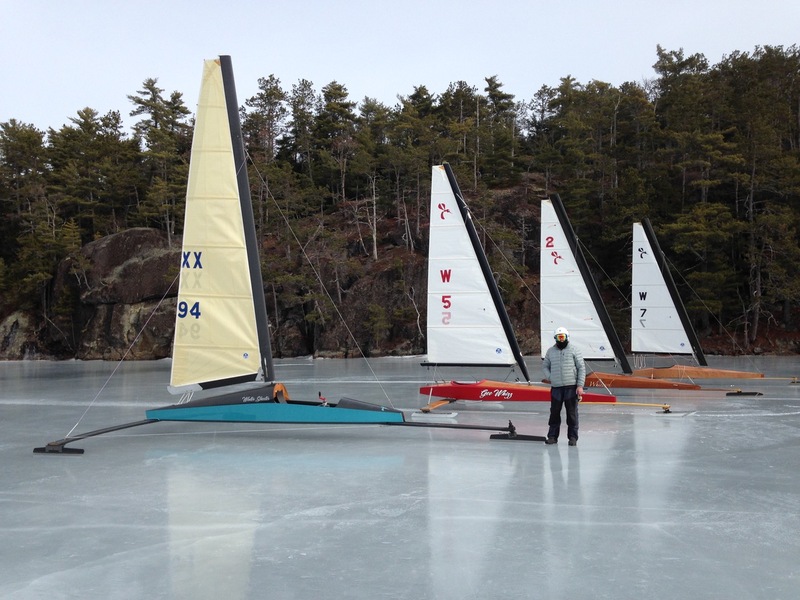 When it gets cold again in March the big inland lakes will be ready for us. South Twin has slushpitatosis, so will need to wait, Moosehead has three feet of ice. 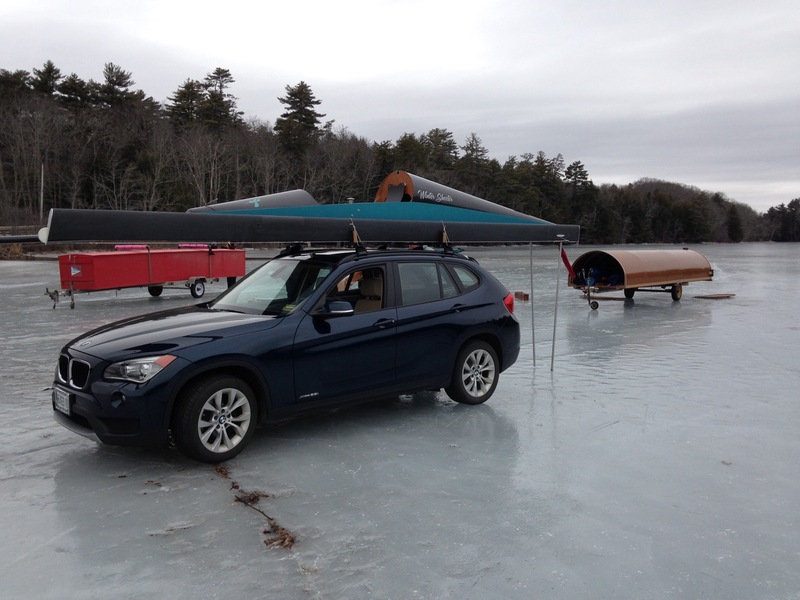 1 Response to Damariscotta Lake ON for Tomorrow, new launch site! What a fantastic ride on the ice today.